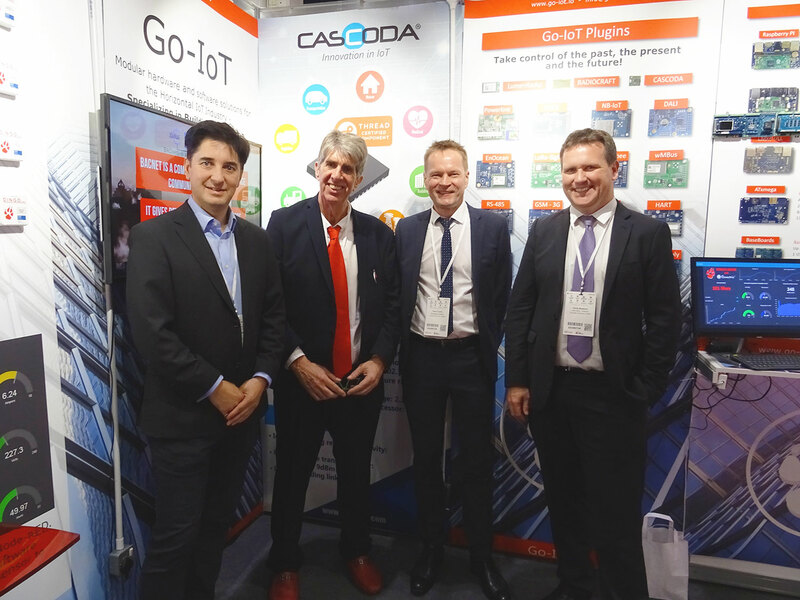 Cascoda® attended the Smart IoT London 2019 trade-show in March. Smart IoT London is the UK’s only conference and exhibition focused on the Internet of Things (IoT) in action. Together with Go-IoT, we showcased a live demonstration of a Thread-enabled industrial sensor system. Based on the Go-IoT BACnet/IoT server, mounted on an standard industrial backplane, Cascoda’s Thread-enabled module provided flawless connectivity to an industrial temperature and humidity sensor, despite saturated WiFi interference. “Cascoda was pleased to attend the UK’s largest IoT technology event for business with Go-IoT and Innovelec Solutions. As an organisation, we value such partnerships in order to keep solving problems and for this technology to become ubiquitous.” says Cascoda CEO, Bruno Johnson.